What To Expect With Rearview Car Cameras? Every year, there are approximately 17,000 injured individuals and 200 deaths because of vehicle accidents. This is why rearview car cameras will likely be mandated in the US by the year 2014. The main purpose of these car cameras is to provide a keen eye to allow drivers to directly see what is behind their vehicle as they back up. Most frequently, the system consists of a tiny video camera which you will attach close to the license plate at the back of your car. While in reverse, you will be able to see a video image captured by the camera on a monitor installed in your vehicle. This gives you huge assistance as you back your auto up particularly in tight locations and parking lots as well. There are a great number of car models, SUVs, and trucks that offer car cameras as a premium choice. If you do not intend to buy a newer car, there are aftermarket options that involve these cameras. 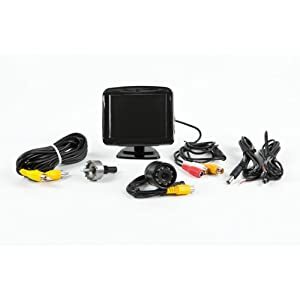 You can choose a wireless type of rearview camera for your car which comes with a small LCD wireless monitor that you can mount on a sun visor or on the dashboard. It usually has controls for contrast and brightness and allows you to change from a mirror image to a normal view. Some also have audio and night vision features. Wireless cameras typically have two ways to get their power: plug it into a power outlet that requires an adaptor or you can use your fuse box. You can either have it on as you shift into reverse or you can have it operating at all time. If you tow another car, you might want to have the camera constantly on. Since there have been a numerous amount of car accidents in the past, the National Highway Traffic Safety Administration sent a proposal to Congress that will require mandatory rearview cameras for each and every passenger vehicle beginning in 2014. The implementation of the proposal would reduce injuries and fatalities as a result of back-over crashes consisting of disabled people, children, elderly people, and others. The finalized report of the rule has been in the works since the year 2008 but by the end of February the NHTSA delayed the regulation. Many advocates support the proposed ruling that automakers should be required to install cameras in vehicles that weigh below 10,000 lb by 2014. The deadline for the submission of the final rule is extended to the end of 2012 right after the presidential election. Needless to say these car cameras can be lifesavers. They help prevent accidents, increase road safety leading to lesser insurance claims, protect vehicles from scratches and bumps, and even improve delivery times for companies and individuals as well. Consumer cars, taxicabs, and police vehicles will definitely gain from these security cameras installed on cars. However, the technology will not come cheap. Adding a camera to a car that does not have an accessible visual display screen would be around $159-$203 and $58-$88 for those that have LCDs. Backup cameras with mirrors offered in vehicles as an additional dealer choice are estimated to be about $700-800 which gives you savings rather than purchasing a navigation system that can cost up to $1500-$1600. You may also need a mechanic to install the camera which takes roughly another $20 out of your pocket. Though rearview car cameras can be a little pricey, you can expect an extra level of safety while on the road. A system complete with a color 3.5″ LCD monitor 120° CMD camera with night vision and all the wires, connectors and mounts. Weather proof, strong and reliable, shock resistant and comes with a full year warranty. BUY NOW! About the author: Writer and blogger with plenty experience, who also works as a consultant for East Coast Car Rentals Melbourne</a.